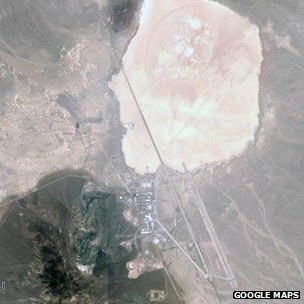 16 August 2013 : Groom Lake Area - 51 Existence confirmed In a newly unclassified internal history of the U-2 spy plane programme. It also explains the site's lingering association with UFOs and aliens. "The U-2 was absolutely top secret," Chris Pocock, a British defence journalist and author of histories of the programme, told the BBC. "They had to hide everything about it." The U-2 plane, developed to spy on the Soviet Union during the Cold War, is still flown by the US Air Force. The document, a secret 1992 internal CIA history of the U-2 programme, was originally declassified in 1998 with heavy redactions. Many of the blacked-out details were revealed this month after a public records request by the National Security Archive at the George Washington University in Washington DC. The site was selected for the U-2 programme in 1955 after an aerial survey by CIA and Air Force staff. According to the history, President Dwight Eisenhower personally signed off on the acquisition. Officials from the CIA, Air Force and Lockheed, the contractor building the U-2, began moving into the facility in July 1955. While a lengthy account of the development of the U-2 spy plane programme, the history also attempts to shed light on the public's fascination with the Area 51 site and its lingering associations with extra-terrestrials and UFOs. It notes that testing of the U-2 plane in the 1950s - at altitudes much higher than commercial aeroplanes then flew - provoked "a tremendous increase in reports of unidentified flying objects (UFOs)". "At this time, no one believed manned flight was possible above 60,000 feet, so no one expected to see an object so high in the sky," note authors Gregory Pedlow and Donald Welzenbach. The original request for the redacted portions of the history was made in 2005. It was released to the National Security Archive several weeks ago. Jeff Richelson, a senior fellow at the National Security Archive, said the long period of secrecy was notable because of the extent people across the world were already aware of Area 51's existence. Mr Richelson speculates the CIA must have recently made a conscious, deliberate decision to reveal Area 51's existence and origins. "There is a general inclination towards secrecy," he said, and the many US agencies and non-US governments involved in the U-2 programme would have had a say in the declassification process. 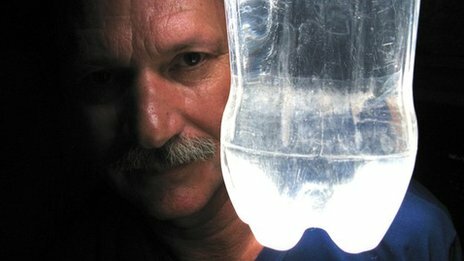 Alfredo Moser's invention is lighting up the world. 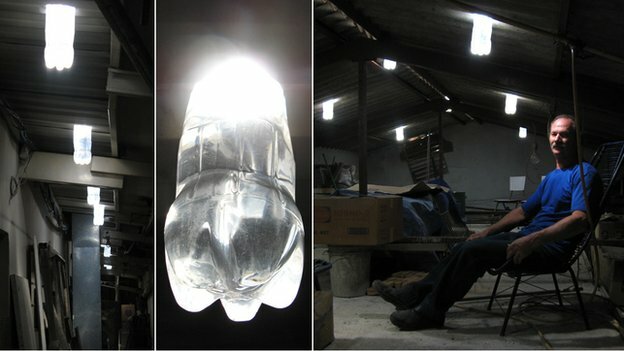 In 2002, the Brazilian mechanic had a light-bulb moment and came up with a way of illuminating his house during the day without electricity - using nothing more than plastic bottles filled with water and a tiny bit of bleach. In the last two years his innovation has spread throughout the world. 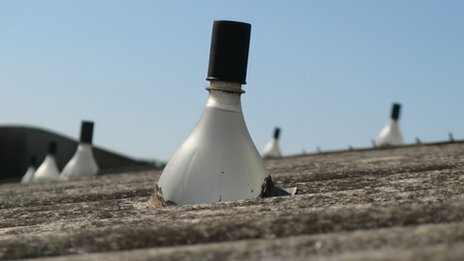 It is expected to be in one million homes by early next year. "Add two capfuls of bleach to protect the water so it doesn't turn green. The cleaner the bottle, the better," he adds. CERN - The Worlwide Grid could turn desktop computers into supercomputers and is now being adapted to allow mobile devices such as phones and tablets to connect. How CERN's Grid may place the power of the world's computers in your hands....The Worlwide Grid could turn desktop computers into supercomputers - The combined power of the world's computers could soon be placed in the palm of your hand thanks to technology that is partly being developed at the home of the Large Hadron Collider. The technology could turn desktop computers into supercomputers and is now being adapted to allow mobile devices such as phones and tablets to connect. Physicists at CERN already have access to the world's biggest Grid computing network, combining more than 200,000 computers together. It allows them to analyse more than 26 million gigabytes of data produced by the Large Hadron Collider (LHC) each year. 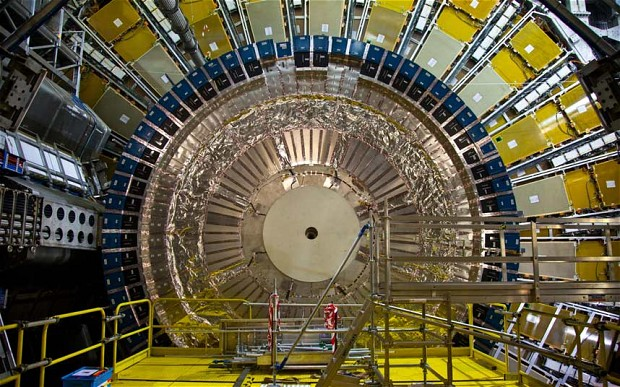 Ian Bird, LHC Computing Grid project leader at CERN, said: "The Grid that we have implemented for physics is a mechanism to allow scientists to share data and collaborate. "It brings together disparate resources from around the world so that they are working as if they are single system. 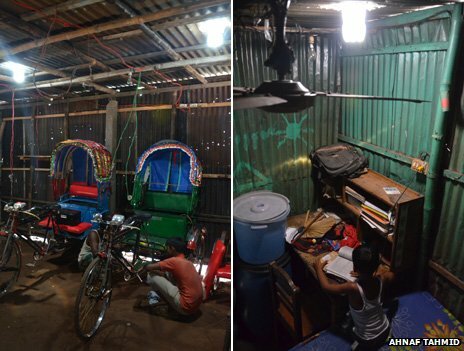 "It solves a problem where we do not have the money to build a big computer centre. "With a single credential I can use computer resources in the UK, or the US or in Europe. "You don't need to know where that computer is located though as you just go into your web browser and look for a service you want to buy. "All the user sees is that there is a lot of computing available to them." 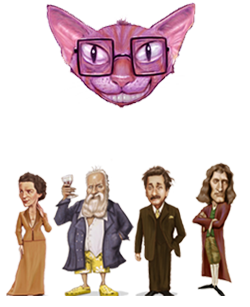 The Worldwide LHC Computing Grid has already helped identify the particle that is now believed to be the best candidate for the elusive Higgs Boson. It is now undergoing an upgrade as the rest of the LHC is similarly upgraded to increase its power. Based on the past three years of use, scientists are intending to improve the efficiency of the system while also decreasing its complexity. physicists have also recently been able to access CERNs grid using mobile devices like iPhones and iPads to submit work, monitor results and control processes. Mr Bird said the computing power of the mobile devices themselves does not contribute greatly to the resources available in the Grid, but this may change in the future. The average iPhone now contains more computing power than early supercomputers. The World Community Grid now allows Google's Android devices to work on the Grid. Last month researchers began using the combined power of volunteer's handsets to search for new drug candidates against HIV. Around 20,000 smartphones are now on the network, along with 500,000 personal computers. David Anderson, a researcher at the University of Berkeley's space sciences laboratory, said: "There are about a billion Android devices right now, and their total computing power exceeds that of the largest conventional supercomputers. "Mobile devices are the wave of the future in many ways, including the raw computing power they can provide to solve computationally difficult problems." There are currently several other Grid computing systems in operation around the world that are being used by groups of scientists to help them with research, including the search for extraterrestrial life and identifying potential new drugs. Experts hope that as more computers join the systems and they link together, a Worldwide Grid will be created, giving access to resources around the world at the touch of a button. It would mean weather forecasters could have access to far greater computing power than current supercomputers allow while schools could access resources capable of performing tasks that can currently only be performed at universities. Businesses would also be able to perform detailed analysis on data that they currently cannot. For home users, it would mean no longer having to upgrade their machines every couple of years to ensure they are powerful enough to run the current software. They could also pay to use software and resources as they needed them rather than having to buy expensive licenses. Mr Bird added: "The technology is evolving. If you look at what we have done is created a way to collaborate in computing and share resources between different organisations." Astronomers at the Wilcox Solar Observatory (WSO) monitor the sun's global magnetic field on a daily basis. WSO home pageSolar physicist Phil Scherrer, also at Stanford, describes what happens: "The sun's polar magnetic fields weaken, go to zero, and then emerge again with the opposite polarity. 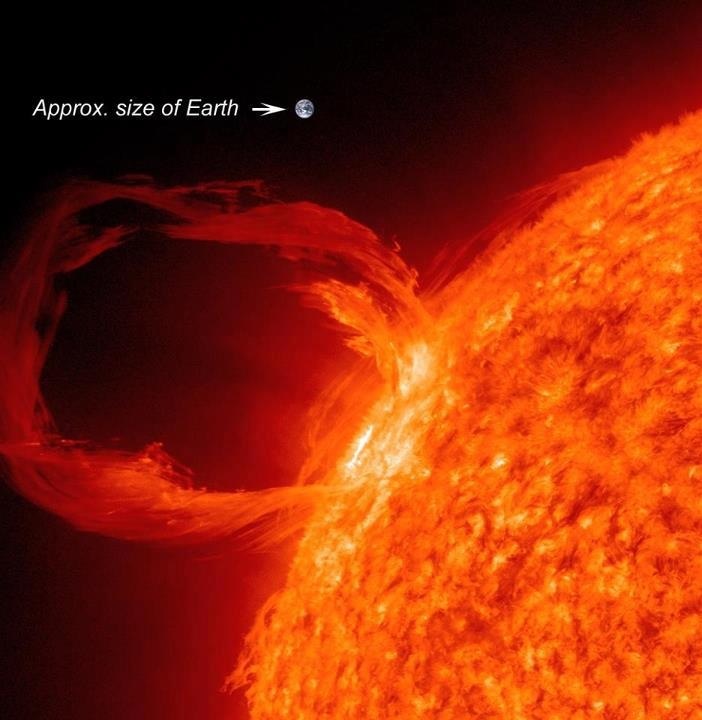 This is a regular part of the solar cycle." When solar physicists talk about solar field reversals, their conversation often centers on the "current sheet." The current sheet is a sprawling surface jutting outward from the sun's equator where the sun's slowly-rotating magnetic field induces an electrical current. The current itself is small, only one ten-billionth of an amp per square meter (0.0000000001 amps/m2), but there's a lot of it: the amperage flows through a region 10,000 km thick and billions of kilometers wide. Electrically speaking, the entire heliosphere is organized around this enormous sheet. 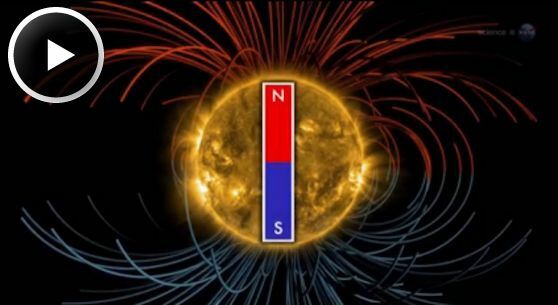 An artist's concept of the heliospheric current sheet, which becomes more wavy when the sun's magnetic field flips. MoreCosmic rays are also affected. These are high-energy particles accelerated to nearly light speed by supernova explosions and other violent events in the galaxy. Cosmic rays are a danger to astronauts and space probes, and some researchers say they might affect the cloudiness and climate of Earth. The current sheet acts as a barrier to cosmic rays, deflecting them as they attempt to penetrate the inner solar system. A wavy, crinkly sheet acts as a better shield against these energetic particles from deep space. The Oddest Precipitation ! 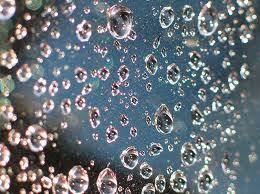 The high-pressure, methane-rich atmospheres of the ice giants may produce diamond hailstones. The ice giants Uranus and Neptune get their blue hue from the presence of methane, a hydrocarbon, in their dense atmospheres – and they may also get diamond hailstones from it too. The extreme pressure and heat of the planets' atmospheres may compress methane so much that diamonds are formed and then fall toward the planets' atmospheres may compress methane so much that diamonds are formed and then fall toward the planets' rocky cores. the Record on Earth - On July 23, 2010, a hailstone that weighed almost a kilogram and measured more than 20 centimetres in diameter fell in South Dakota. 1 kilogram has an estimated street value of $100 million. If a diamond is 'cooked' in an oven at 763 °C, it will simply vanish. Diamonds are 100 times more valuable than gold. 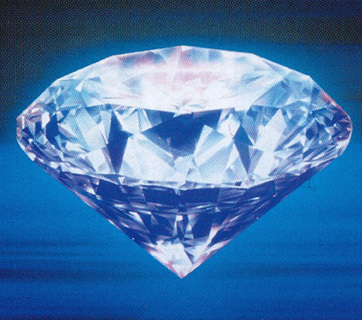 Diamonds are commonly judged by the 'four Cs': carat, clarity, colour, and cut. A diamond is 58 times harder than the next hardest mineral on Earth. About half of all the worlds' diamonds come from Africa. Belgium is the international diamond trading capital of the world. The only way to cut diamonds is with other diamonds. Two EMP experts told Secrets that the EMP flashed through earth's typical orbit around the sun about two weeks before the planet got there. "The world escaped an EMP catastrophe," said Henry Cooper, who led strategic arms negotiations with the Soviet Union under President Reagan, and who now heads High Frontier, a group pushing for missile defense. "There had been a near miss about two weeks ago, a Carrington-class coronal mass ejection crossed the orbit of the Earth and basically just missed us," said Peter Vincent Pry, who served on the Congressional EMP Threat Commission from 2001-2008. He was referring to the 1859 EMP named after astronomer Richard Carrington that melted telegraph lines in Europe and North America. "Basically this is a Russian roulette thing," added Pry. 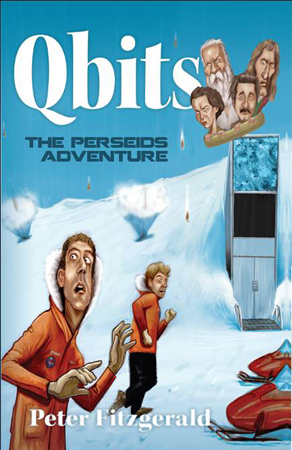 "We narrowly escape from a Carrington-class disaster." Pry, Cooper, and former CIA Director James Woolsey have been recently demanding that Washington prepare the nation's electric grid for an EMP, either from the sun or an enemy's nuclear bomb. They want the 2,000-3,000 transformers in the grid protected with a high-tech metal box and spares ready to rebuild the system. Woolsey said knocking out just 20 would shut down electricity to parts of the nation "for a long time." But Washington is giving them the cold shoulder, especially the administration. Woolsey told Secrets that some in Congress are interested in the issue, but the administration is just in the "beginnings" of paying attention. The EMP effect is not rare. One occurred in Canada in 1989, knocking out Quebec's electric transmission system. And North Korea is reportedly testing a device to attack the U.S. with an EMP attack. The trio appeared at an event in Washington this week, but Pry said getting the nation's leaders interested in the issue is difficult and educating the public about EMP hard too. "The education curve isn't going up fast enough," he said. Scientists in the US have created a robot the size of a fly that is able to perform the agile manoeuvres of the ubiquitous insects. This "robo-fly", built from carbon fibre, weighs a fraction of a gram and has super-fast electronic "muscles" to power its wings. Its Harvard University developers say tiny robots like theirs may eventually be used in rescue operations. It could, for example, navigate through tiny spaces in collapsed buildings. 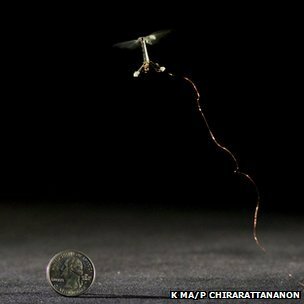 Lead researcher Kevin Ma from Harvard University says his team has made the world's smallest flying robot. It also has the fly-like agility that allows the insects to evade even the swiftest of human efforts to swat them. This comes largely from very precise wing movements. By constantly adjusting the effect of lift and thrust acting on its body at an incredibly high speed, the insect and the robot's flapping wings enable it to hover almost motionless in the air or perform sudden evasive manoeuvres. And just like a real fly, the robot's thin, flexible wings beat approximately 120 times every second. The researchers achieved this wing speed with special piezoelectric material, which contracts every time a voltage is applied to it. By very rapidly switching the voltage on and off, the scientists were able to make this material behave like just like the tiny muscles that makes a fly's wings beat so fast. "We get it to contract and relax, like biological muscle," said Dr Ma. 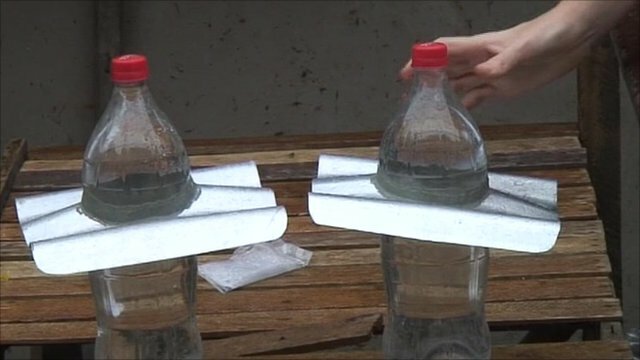 The main goal of this research was to understand how insect flight works, rather than to build a useful robot. "[But] a robotic insect stands as a tangible end goal to drive this research forward," Dr Ma told BBC News. He added though that there could be many uses for such a diminutive flying vehicle. "We could envision these robots being used for search-and-rescue operations to search for human survivors under collapsed buildings or [in] other hazardous environments," he said. "They [could] be used for environmental monitoring, to be dispersed into a habitat to sense trace chemicals or other factors. Dr Ma even suggested that the robots could behave like many real insects and assist with the pollination of crops, "to function as the now-struggling honeybee populations do in supporting agriculture around the world". The current model of robo-fly is tethered to a small, off-board power source but Dr Ma says the next step will be to miniaturise the other bits of technology that will be needed to create a "fully wireless flying robot". "It will be a few more years before full integration is possible," he said. "Until then, this research project continues to be very captivating work because of its similarity to natural insects. It is a demonstration of how far human engineering ingenuity has reached, to be mimicking natural systems"